"Patrick takes pride in what he does, and his work is exceptional." Installed, restored and cared for by craftsmen. 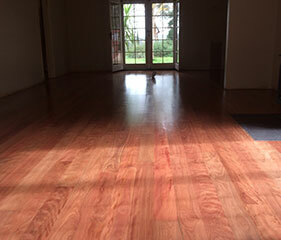 At PJP Timber Flooring we have a passion for wood and respect for nature. No two floors are the same- wood is a living material and we take pride in producing beautiful floors that respect the personality of both the customer and timber. With an appreciation for differences, we bring our dedicated effort to every single project and customise our services to match your dream floor. Our experienced small team of craftsmen specialise in the installation, restoration, sanding and polishing of wooden floors. We are dynamic, creative and hardworking professionals with experience in both commercial and residential projects. 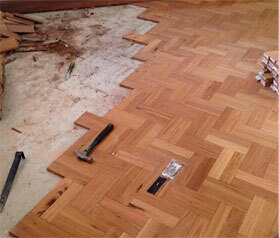 We service the Adelaide metropolitan and country areas. Patrick Pokorny leads the team and is a licenced tradesman with over 15 years experience. Collaborating with builders, architects and private clients, PJP Timber Flooring produces work of the highest level of skill, craftsmanship and integrity.